Are you involved in teaching or competing in martial arts, but do not hold a valid and up to date martial arts first aid certificate, as you do not have the time to attend a classroom based training course? 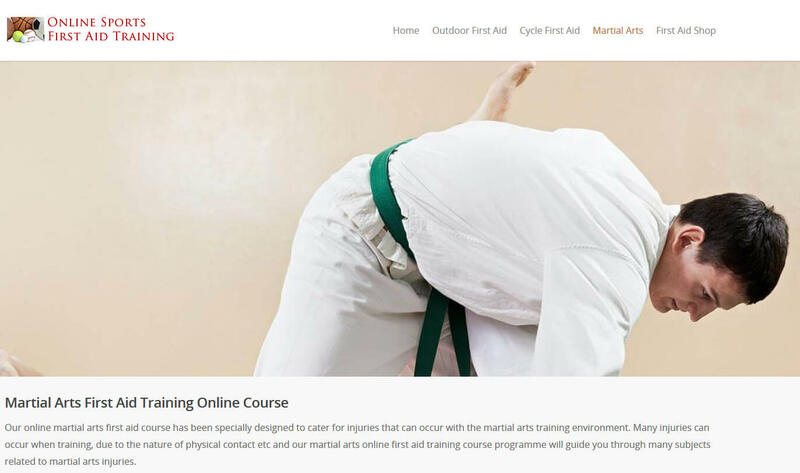 This can be completed online through online sports first aid training, as they offer an online martial arts first aid course, which is suitable for martial art instructors and also students. The course is conducted by a first aid instructor, using video based presentations and each video can be rewound to gain a better understanding of the course content. All course materials are downloadable and on completion of training you will also be able to print your martial arts first aid certification. You can register and start your training now by clicking the start now button above, which will take you to the simple registration page, or for a detailed breakdown of the course content please follow this link to their Online Martial Arts First Aid Training page.